Wireless Security — How Vulnerable Is Your Network? Complementary Wi-Fi is such a commonplace service in our modern-day landscape that most customers expect it as part of every business’s onsite offerings. Customers tap into public wireless access points (WAPs) everywhere they go. Before you open up your business’s network, carefully consider how to implement wireless security and shield your firm’s proprietary and private data from public view. While traveling, how often have you tried to wirelessly connect your smartphone to the internet only to find several visible networks? You may notice most listings are paired with a lock symbol, indicating blocked public access. Without this protection, anyone with the right tools could gain access to private data. To protect yourself, never connect to a public Wi-Fi network that doesn’t provide a secure encryption. A wireless network that segregates public and private traffic gives visitors guest network rules and a password that allows them to access only the areas you choose. IT support specialists at Anderson Technologies recommend this kind of network as an essential element to secure sensitive data. They also suggest configuring it for Wi-Fi Protected Access II (WPA2) utilizing strong passwords. WPA2 offers essential encryption and authentication to guard against unauthorized access to your network. This protocol, combined with a hardware firewall, allows employees to securely access the internet and shared files or folders within your company’s digital infrastructure. In addition to protocols that enable wireless security, IT support experts at Anderson Technologies recommend regularly updating passwords on all company computers and devices (see our blog on Password Security). This includes changing access passwords on all wireless networks. It’s also important to continually update software. New versions contain patches that ensure existing vulnerabilities are taken care of. “Once you’ve established wireless security in the office environment, don’t forget to set up guidelines for employees traveling with laptops, including common sense computer-use protocols,” said Mark Anderson, a principal partner of Anderson Technologies. “For instance, always be aware of your surroundings when entering passwords. 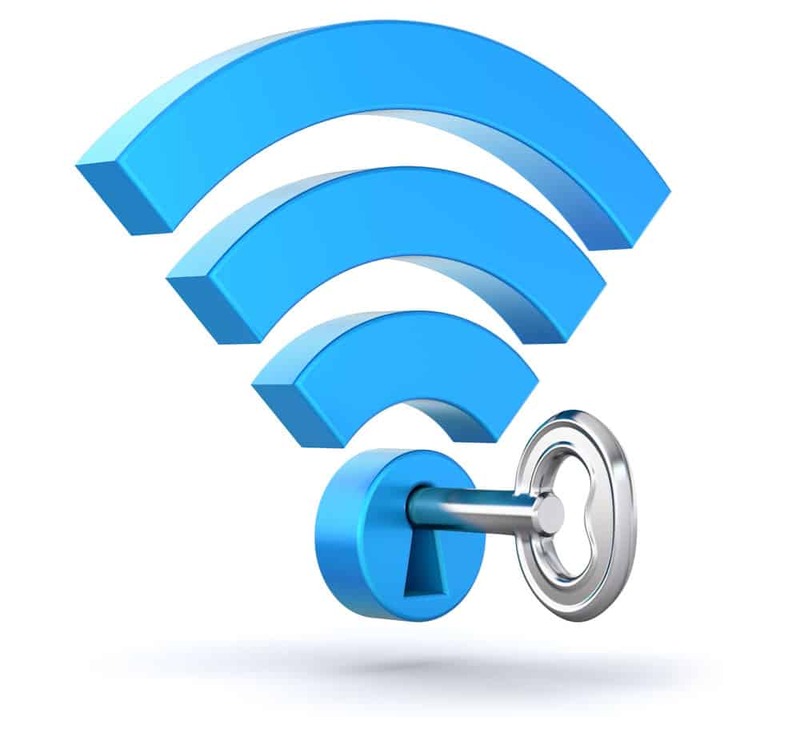 Never attach to an unsecured/unencrypted network, and know what steps to take if a company device is misplaced.” Employees should always use caution and verify networks are legitimate before connecting to Wi-Fi in public spaces like airports and hotels. Follow these wireless security guidelines to help keep your company data secure and guard against hacker attacks. Providing companies in St. Louis wireless security as a part of a larger IT support program involves many areas of attention. For more information about establishing a segregated wireless network at your business, contact the St. Louis IT experts of Anderson Technologies at 314.394.3001.